Maria Koller is a member of the Executive Management Committee and as Head of Global HR responsible for group-wide human resources. Maria Koller was born in 1972. She studied Economic Psychology at the University of Vienna. She started her professional career in the field of personnel development and subsequently as an HR all-rounder at Alcatel. Besides Alcatel in Austria and France her professional stages led her through various companies of the Danaher Group in Europe. 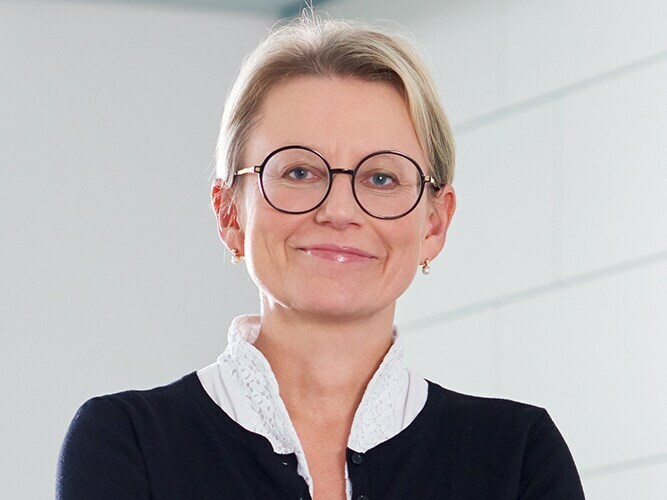 In 2014 she took office at the automotive supplier Magna where she held a number of executive HR positions, most recently as Corporate Director HR Programs Europa and Country Director Germany. With more than 20 years of professional and international executive HR experience Maria Koller is familiar with all aspects of human resources management and has comprehensive know-how in the fields of personnel processes, personnel development and change processes as well as international expertise. Since November 1st, 2017 Maria Koller has been Head of Global HR at Jenoptik. In this function she is responsible for the group-wide human resources management and member of the Executive Management Committee.